**edit** Tabacco has pointed idlemc.com to this minecraft server. You can now connect to it using that address. Someone on slack asked if there's a live IdleMC server right now. Apparently there is not. 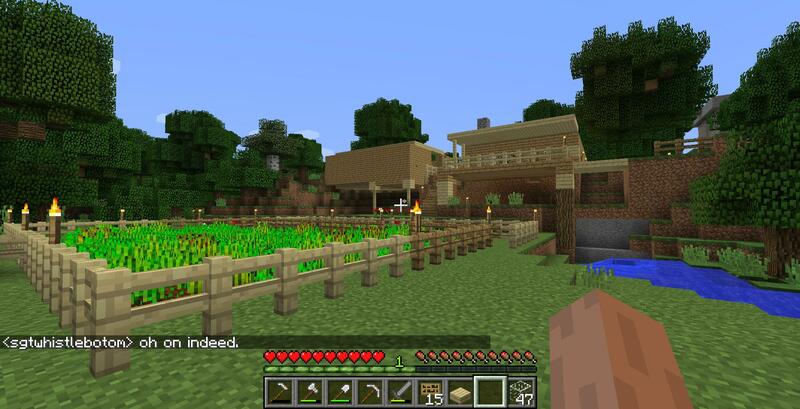 I myself don't really play Minecraft, but I do have a server and some bandwidth so I figured I'd see what I can do. I have a server up and running right now at idlemc.ddns.net. 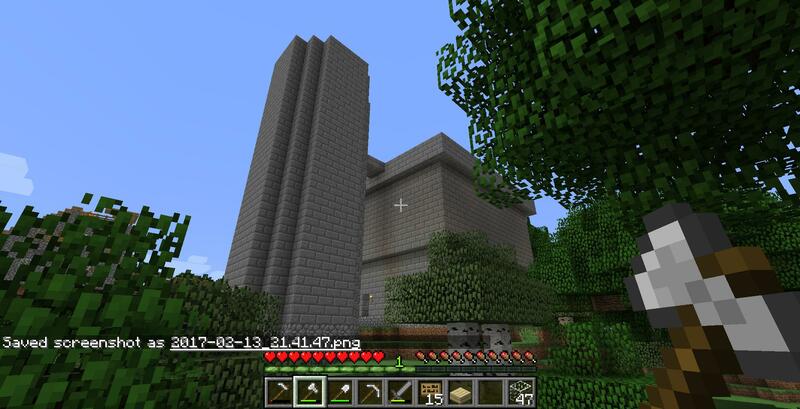 Currently it's a vanilla world in survival mode with no password or other access restrictions set up. So, first off hop on and check it out, make sure it works if you want. Second of all, as I said, I'm not a Minecraft person. If someone who knows anything about running a Minecraft server wants to help me with any setup, configuration, and/or access control on this thing let me know. 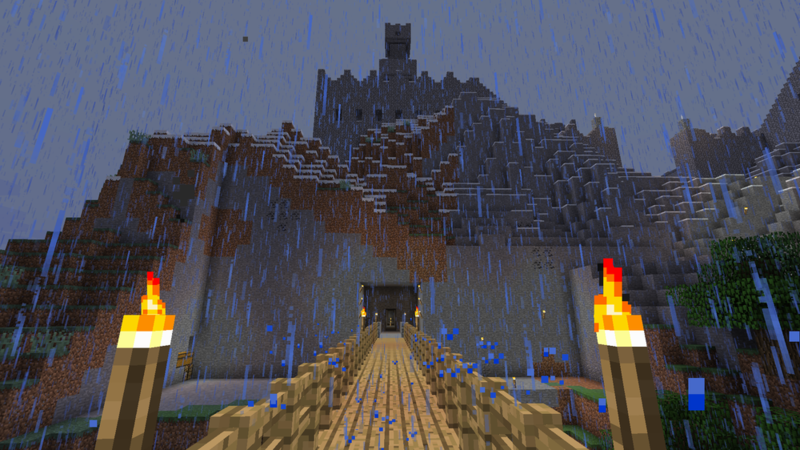 i'm much more interested in Survival than Creative, though the creations on the previous servers wre fun to check out. I've popped in to your server and built myself a house on the hill. Connection is quite good from Australia. Nice! Is there a way to have one of each while just running one instance of a server? Or maybe I could just enable cheats and people could toggle themselves between creative and survival modes? 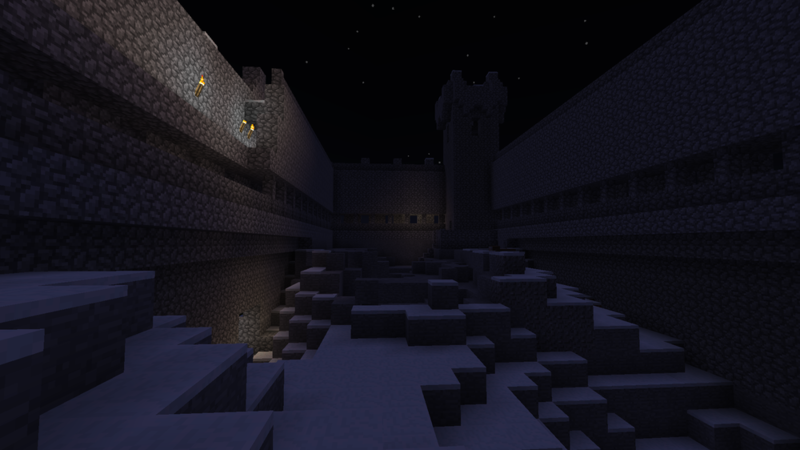 These are the sorts of things I'm not really sure about when it comes to running a Minecraft server. So I'm creating an underground breeding lair for cats beneath Paul's home. I still have to find the cats, but once I do I'll be ready to supply everyone all the cats they could ever need. 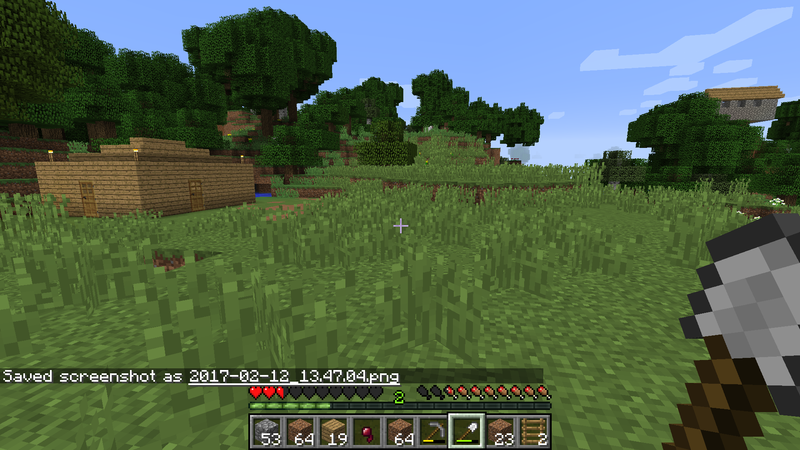 i've set up a welcoming house near the spawn point. folks can donate useful starting equipment if they can. @Paul Smith don't be surprised if you see way more chickens than what you had last time. set up a sugar cane and wheat field in what's looking to be the player village. Haha, I came to post this. 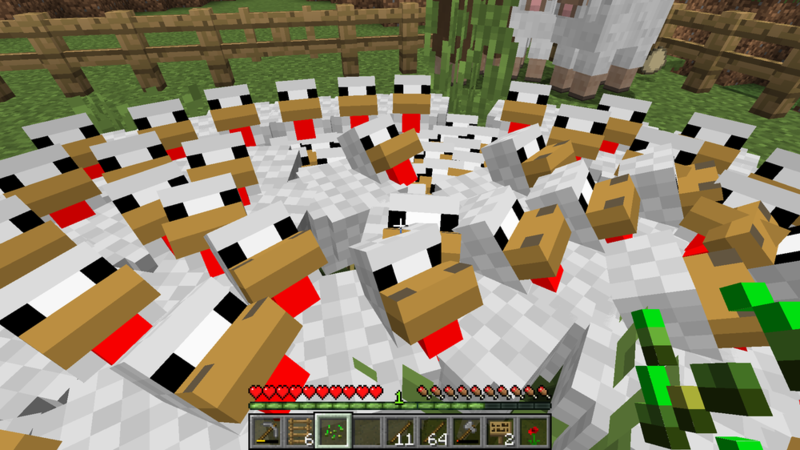 Sooo many chickens! Hmm, vanilla Minecraft, so I should be able to hook in using the Win10 version? Nope, pretty sure Win10 version is a completely separate entity. Also they're not up to parity. Ah, that's a shame. I was hoping to wander the Idle Thumbs server in VR. 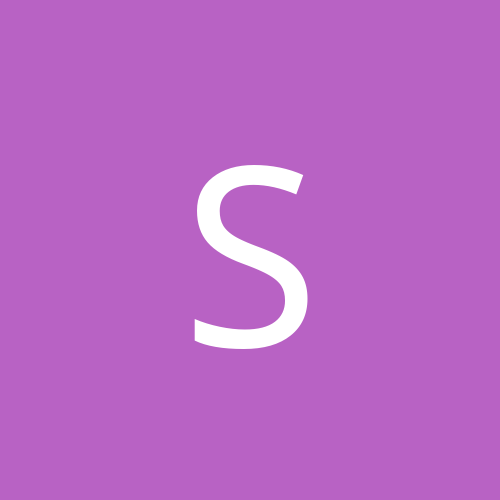 Getting Vivecraft to work in single player or in a multiplayer server is super easy. Just download it, install it, and start playing. If you don't have Optifine you will need that too but they walk you through everything you need to do on the Vivecraft site. The mod is even completely up to date and I've recently used it with Minecraft 1.11.2 in both single and multiplayer. I highly recommend it! Me and @toblix have been building a sweet, Scandinavian Cottage outside the town. We have a wheat farm, porches and everything a Scandinavian person would want! 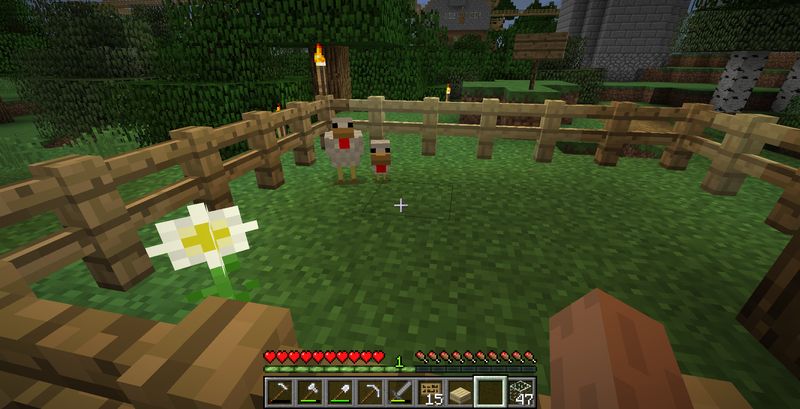 We even have a chicken called @dibs the chicken and his baby chick dibs jr. There's a road with a sign just outside the center town's (inhumane) cow enclosure, just follow that windy road under the trees if you want to check out our Cottage! Of course as soon as we have placed our cottage in the idyllic, peaceful wilderness someone just built a gigantic castle right next to us! High-rises, amirite? I'll join this as soon as Mojang support gets back to me about my lost/unmigrated account. Hello everyone, Evilskillit your friendly server proprietor here. Having this thing open to the internet at large without any password or gating mechanism of any kind is making me uneasy. So far things have been great, but I'm afraid one day someone is going to log in to find all their hard work burned to the ground or something. Minecraft doesn't seem to be able to do password authentication, plus passwords aren't great anyways. It works on something called whitelisting. Basically once I turn whitelisting on, only people whose Minecraft accounts have been added to the server will be able to access the server. So far I've already whitelisted 15 people who have already accessed the server. In order to be added to the whitelist you'll need to post here with your minecraft account name, or private message me here, or contact me on the IdleThumbs Slack, or e-mail me at evilskillit at yahoo.com. From the time of this post going forward the server whitelist is going to be turned on. If it causes too much trouble or I figure out some other method of securing things I'll update here. In the mean time, happy mining! edit: @SgtWhistlebotom I think I mistyped your name in the whitelist, sorry about that. It should be fixed. If not please let me or someone know and I'll get it fixed as soon as I can. @jimtwo I saw you hit the server in the logs, I've since added you to the whitelist. You should be able to play now. Your stupid Scandinavian cottage scared away the wolves, had to walk five hundred miles to find another wolf. But now I have a wolf pack! Now if I can only figure out why the snow golem won't create a snow trail. Can i get whitelisted as dibkins plz evil. I'm not going to play much as i had just started on another server a few days ago and they already gave me a netherworld portal. You mean our amazing Scandinavian cottage scared away the wolves. Dibs the chicken has had quite the life, already. Everytime I tried to put up a "dibs the chicken" sign a creeper snuck up on me and toblix and blew up his chicken coop. Luckily, he survived three of these and produced a baby dibs. It's unbelievable how many structures have been put up in such a short amount of time. Cordeos's castle is jaw-dropping, and elmeurte's tower is very impressive. I took a look through the Scandinavian Cottage; it made me feel very relaxed.